On the first of January this year, I embarked on a reading challenge. That challenge was to read as many books by Australian women as possible, and at the beginning of the year, I made a list from books I had that I wanted to read, and came to about six, and so decided to take on the middle level – Miles – to read six books and review four. At the time, I was unsure of exactly how many I would read, and so chose this instead of Creating my Own Challenge and nominating a goal. I had no idea that I would be able to read more than four times my chosen goal by the beginning of August, juggling other review books as well, and trying to read across a broad range of genres. As at the second of August, I have read thirty books, and hope to read many more by year’s end, but I am not sure how many that will be. It could be ten, it could be twenty, I could even double or triple my goal – depending on what I read and how long it takes me, as some books have taken me a little longer than others, and some have been series, in particular, I began the year by working my way through The Matilda Saga by Jackie French within the first couple of months of the year, a six book saga beginning in 1894 with twelve year old Matilda O’Halloren and working through almost a century, taking the titles from well known bush poetry by poets such as Banjo Paterson and Henry Lawson, but positioning the stories through the eyes of the women in various times of turbulence and upheaval in Australia: 1894 to just after Federation, with the formation of unions, moves towards federation and women’s suffrage in A Waltz For Matilda, post World War One with the Girl From Snowy River, who despite all odds, saves the valley and gets the horses to safety, a Depression-era circus in The Road to Gundagai, where a young girl escapes from those who would do her harm, and finds a family who cares and nurses her back to health. In book four, To Love A Sunburnt Country, the story enters World War Two, and is told from Nancy’s perspective, a young part Aboriginal girl whose family has always lived and worked on Drinkwater. Books five and six are told in a few perspectives, during the sixties and seventies, during Vietnam and the moon landing. Matilda, Drinkwater and how women are perceived in society through each of these decades and the rights they fight for link the saga and with book seven due out later this year, I am eager to see where we get to go post-1975. Following this, I have read a variety of historical fiction, fantasy, Young Adult, general fiction and romance, ranging from ones that felt over the top and extremely clichéd to those that had more essence and plot than just the couple falling in love at first sight. Two of these, Girl in Between and The Hating Game, a Bridget Jones feel to them, and thus made them more enjoyable and a little more realistic, as the characters were not perfect. This challenge has brought me books I might not have ordinarily picked up and in doing so, has introduced me to new areas of interest but also determined what I prefer and what I don’t like. As part of this challenge, I have also been writing articles on small presses: Pantera Press, Magabala Books, UWA Press, The Author People, Serenity Press, Odyssey Books (yet to be published on Australian Women Writer’s Challenge), Xoum, and Transit Lounge, all of the links have been provided here. I have enjoyed doing this, especially contacting some of the publishers. Those who have been rather enthusiastic about the challenge have been Odyssey Books, Serenity Press and The Author People. One of the highlights so far has had to be getting to be part of the blog tour for Kate Forsyth’s Beauty in Thorns. I always enjoy Kate’s books, and she writes so exquisitely that it is easy to get lost in her worlds and words. I have been trying to read more crime, and one series I would like to read again is Sulari Gentill’s Rowland Sinclair, though I have already reviewed those so they will be on my read but not reviewed list when I do so. The Inaugural Meeting of the Fairvale Ladies Book Club by Sophie Green – post scheduled to go up next week. This challenge is about reading books by Australian Women, often with strong female characters in them, but not always about Australia. 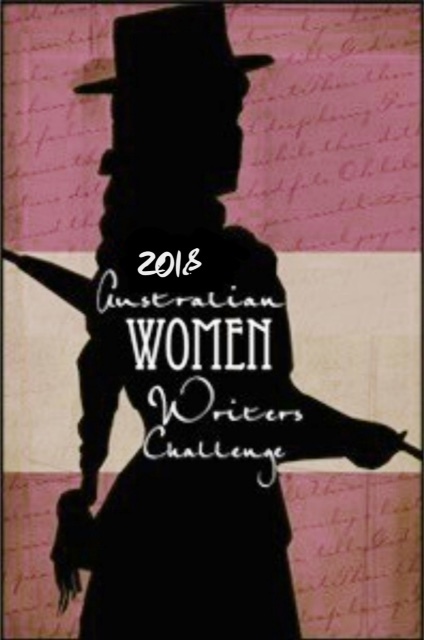 It is a way that participants can work to raise the profile of Australian Women Writer’s, and of writers in general in Australia. The writing and publishing industry in Australia isn’t as big as it might be overseas, but it is none the less just as important to be able to read stories by Australian authors and for Australians all throughout the country to be able to see themselves reflected in the literature that they pick up. I have been trying to read broadly, and this is only thirty of the seventy books I had read this year. I am hoping that the next few months will bring more variety and surprises. My complete write up for the entire challenge will be available early January 2018. Congratulations, Ashleigh, and thanks for being such an enthusiastic contributor to and supporter of the challenge. That’s an impressive number of books read and reviews written. Great to be promoting Australian (and especially women) authors. Thank you. I’m getting through quite a few.